All the events of last week were set within the context of our annual Divine Mercy novena and the celebration of Mercy Sunday. Having journeyed through Lent and the Paschal Triduum, we culminate with the celebration of God's mercy. (Another thing for which we can thank St. John Paul II). 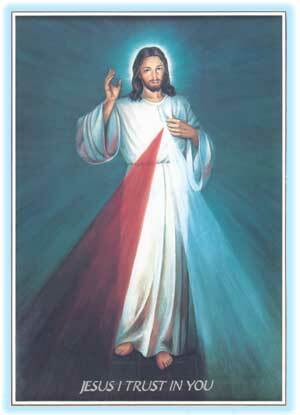 The mercy of God in Jesus Christ is where I find my roots. I don't know where else to stand. Mercy is the creative, forgiving, regenerating love of God beyond all measure. Mercy is the love that gives us what we lack, that empowers us to accomplish what we can't do by ourselves. Mercy is where I must go, because I am a complete mess as a human being. I'm not happy about that. I want to change (although, frankly, I'm often glad to just be lazy). My love for God is weak. My desire to grow in love is weak. What do I have, really, that I can bring before God in prayer? Jesus. Every day I pray, "Lord, I throw myself upon your infinite mercy!" After all is said and done, and I find my work and my prayer to be a sorry mixed bag, what's left? Jesus. God gives Himself. He is the way and the truth and the life. He is my hope for healing and for attaining my destiny. Jesus gives Himself to save me from my sins, and also to give me a participation in the life of God. The life of God! Whoever even thinks about this? Whoever thinks about the fact that Jesus brings not only freedom from sin but also a radical elevation of life to the level of union with God? Here I am, struggling day by day just to get by, to survive, to tread water in the ocean of my own sanity. And yet I am called to live forever with God. It's difficult even to understand what this means. Do I even want this, really? Yes, I have been created to want this, and yet I live on the surface of myself. I don't know what to do in the end except to throw myself upon the mercy of God. And this "God" for whom I have been created: who is He? Who is God? Infinite Giving, Infinite Giftedness and Giving, Infinitely Poured Out: Infinitely, Eternally, Transcending all possible created worlds of limitation and definition such as we have ever known or have ever experienced. All these words of mine are baby talk; I aim sounds of speech and fall so short. Poor words. The very inner life of God is love. The One God is a Trinity of Persons. God has revealed Himself as Father, Son, and Holy Spirit. "Three Persons who are one God because the Father is love, the Son is love, the Spirit is love. God is wholly and only love, the purest, infinite and eternal love. He does not live in splendid solitude but rather is an inexhaustible source of life that is ceaselessly given and communicated" (General Audience for Trinity Sunday, 2009).